Jerry and I read to second graders every Wednesday. We’ve done this for five years now and sometimes we argue about whose turn it is to read because we love doing it so much. 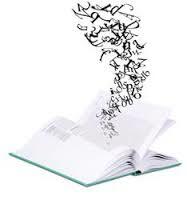 There is something magical about taking language written on a page and transforming it into spoken word. There is something mysterious about the way those sounds find their way into ear and mind and heart and are transformed into meaning. Our second graders transcribe words like “lion,” “witch” and “wardrobe” and – in their lively imaginations – craft something real, something wonderful. This is a good reminder for those of us who don’t believe in magic wardrobes anymore. This whole enterprise of making meaning – of finding what is truly real – is mysterious process. Grown ups forget that sometimes. When we consider the wonder of this every day common occurrence of words, then the layers and layers of wonder we find in the words of John’s Gospel surely must spark our imaginations. How does one transcribe that into meaning?!?! John’s Jesus is unique in the Gospels. Of course all the Gospel writers crafted the Jesus story in a new and unique way for their time. Mark first and then Matthew and Luke wanted to do something different than the Apostle Paul had done before them. Paul had proclaimed the clear, bold, luminous gospel that God’s redeeming love had entered into the human experience in Jesus the Christ. Paul had preached that Something brand new had happened in the cosmos – something real, something wonderful. And across the Roman Empire, Jews and Gentiles, monotheists and pagans came to believe in this remarkable truth Paul proclaimed: Jesus – the Crucified and Risen One IS the One in whom all Creation holds together. The One who calls disciples to peace and unity and hope and love. But then the gospel writers wanted to do something Paul had not done. They wanted to gather the many varied stories of Jesus’ life into one large narrative; one story that pondered the meaning of his life, death and resurrection. They communicated the good news – not with credal statements or propositional truths or church doctrine – but rather with the unique power of the story. They weren’t writing history – even though Jesus is absolutely historical. They weren’t reporting as for a newspaper – although Jesus is certainly newsworthy. They weren’t telling “just” a story – but they were telling truth in the profound form of story because story is one crucial way that we humans make meaning. What does it mean that Christians confess this one Jesus to be both Son of man and Son of God? What does it mean to believe that Immortal Divinity is present within the simple common life of a mortal man? Mark and Matthew and Luke – in their genius – told their stories in such a way that this one Jesus is always both/and. Both fully human and fully divine. And then John comes along with his own unique spin on the gospel genre. John’s gospel is shot through with symbols and signs. John’s gospel ponders theology WITH poetry. John’s gospel allows us to see this truly human truly divine Jesus with new eyes. John’s Jesus is Light, Life, Truth, Bread, Way. And this Eternal Word – spoken in the very beginning of Creation, John proclaims – has been transcribed into flesh and blood. It’s a really interesting statement of what we are about. Not only do we want to share the good news, to talk about it and write about it, but we say we also want to BE the good news. Here is another Word made flesh. Here is another incarnation. Here is another way the gospel becomes embodied in the body of Christ. This is truly remarkable. Remarkable opportunity. Remarkable responsibility. One of the things I get to do these days is to write. An opportunity fell into my lap to write essays about intersections of faith and culture and politics and to post my blogs for a wide secular cyberspace audience. I confess I have lived in a church bubble most of my life and I’ve not been exposed to the vast array of people who live outside that bubble. So the comments that come back break my heart. There are so many people out there who completely distrust Christians because of their negative experiences with people of faith. For them, Christians are people who say one thing and do another. For these folks, Christians are people who don’t live up to the words of their own Bible. Does that break your heart? Because people actually think that about us. And because it’s actually too true too often about us. When our word is not our bond and we carelessly break our word. When our words are critical or complaining or condemning. Remember when John’s Jesus confronted the religious insiders of his own day? The words in our Bibles are powerful words, good words that can teach us many important things about God, Christ, Spirit; about what it means to be human and what it means to be Church. These words of Scripture are signs that point us to mystery. That’s the way it is with words. Our words never are the thing itself. Words are symbols for the ideas or the things we want to describe or communicate. And that’s the way it is with words of Scripture. These holy words spark our imaginations so that we encounter something real. Something real, something wonderful. We can see invisible realities and impossible possibilities. We can hear eternal truth underneath the layers of sign and symbol. It’s when these words leave the page and find their way into ear and mind and heart… When these words are transformed into meaning and fleshed out in acts of love and grace and hope and peace… When these words create a space where we can meet the Living Word … that’s when they become wonderful words of Life. This mystery is absolutely astounding: that in these words of Scripture we may well be encountered by the Word made flesh. That this Word doesn’t just point to reality; this true Word is Reality itself. I have come so that you may have life, and have it abundantly. These words are written so that you may come to believe that Jesus is the Messiah, the Son of God, and that through believing you may have life in his name.